How does Ecosia guide you to greener search results? How does the personal counter work? Where do Ecosia's search results come from? 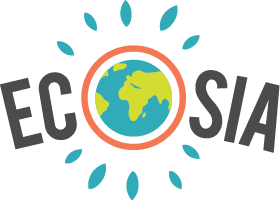 What are Ecosia's main features and advantages? What are "personalized search results"? Is Ecosia's search partner, Bing, CO2-neutral? Why was my personal counter reset to ‘1’? Does Ecosia have a black background to save energy? So why is your personal counter being reset? Your browser might be set to delete cookies every time it restarts. To count the trees you're planting, you can check your browser's settings for the option to make an exception for Ecosia. We currently don't have any way of bringing your personal counter back to the number it showed before the cookies were deleted. However, we are working on a tool that may make this possible. As soon as this tool is launched, we will tell you about it on our blog, so stay tuned! And most importantly: Stay calm and search on. The trees you've helped us finance are of course not deleted, even if your count is reset. They are growing and greening the desert as we speak! There is currently no way to sync your personal tree count on a desktop computer with your Ecosia app. Sadly we don't have any way of bringing your personal counter back to the number shown before the cookies were deleted. However, we are working on a tool that may make this possible. Finally, keep on searching! The trees you've helped us finance aren't deleted, even if your counter gets reset. They are growing as we speak – and being distributed at planting sites all over the world. How do I get my ad blocker to make an exception for Ecosia? Chrome extension - why are my Bookmarks and New Tab page missing? How do I make Ecosia my default search engine in Microsoft Edge? "Guys You should share more pictures about our trees and videos about this awesome project"